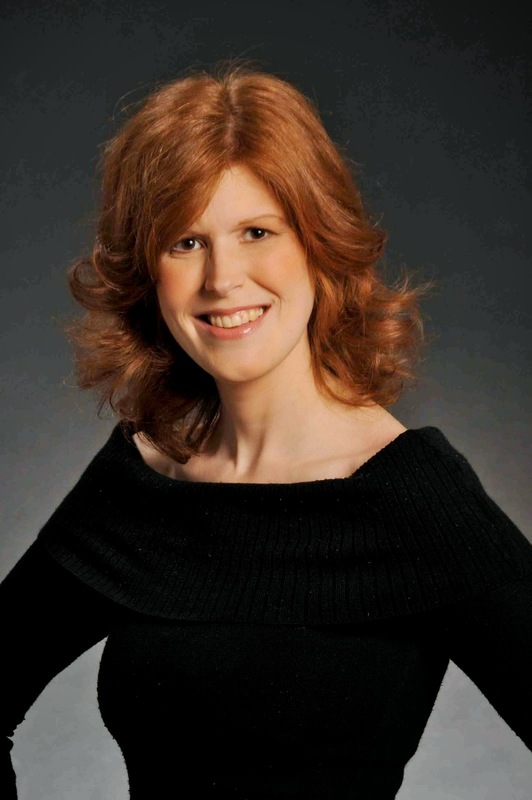 Joelle Charbonneau has performed in opera and musical theater productions across Chicagoland. She now teaches private voice lessons and is the author of the New York Times best selling The Testing trilogy (The Testing, Independent Study, and Graduation Day) as well as two mystery series: The Rebecca Robbins mysteries and the Glee Club mysteries. Her YA books have appeared on the Indie Next List, on the YALSA Top 10 books for 2014 as well as the YALSA Quick Picks for reluctant readers. To be honest, I never thought I’d be a writer. My best friend in high school was the writer. I wanted to be a stage performer. Funny, but it was when I was doing a dinner theater production of Evita that I had an opening line of a book pop into my head. For some reason, I decided to take a whack at writing that book (which NO ONE should ever read). I’m glad I took that chance because I learned that writing stories was just as rewarding as telling them on the stage. I think the most important thing we can do in life is ask “What if”. The best medical discoveries, dinner recipes and baseball line-ups are created that way. J Storytelling is all about asking “What if” and it is the journey of looking for those answers that makes us think more critically about the world around us. And on a less intellectual note – storytelling is just plain fun. There just isn’t enough fun in the world! Ugh! This question trips me up whenever someone asks because the answer changes from day to day depending on my mood. Since I am in a children’s book phase (my 5 year old and I are doing lots of reading together), I guess my answer today would be The Lion, the Witch and the Wardrobe for the sheer wonder that story holds. I first read that book when I was in second or third grade and it still holds me captive to this day. Writers write. That sounds simple, but it’s the truth. To be a writer you need to make a habit of writing. There is so much that can get in the way of putting words on the page-family, blog posts, e-mails, shopping, friends, etc.. But to be a writer, you have to put a priority on your writing. It’s not always easy, but it is necessary. It’s a lesson I learned early and I am so grateful that I did. 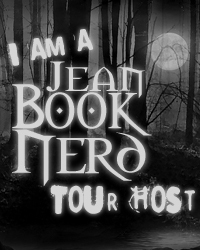 In your book; The Testing, can you tell my Book Nerd community a little about it? The Testing is the world’s worst SAT. One hundred years after the Seven Stages of War, the United Commonwealth is working hard to rebuild and recolonize the country. In an effort to select people who can continue that effort – they have created The Testing – the one opportunity for high school graduates to potentially receive a college education and become one of the country’s next leaders. Cia Vale desperately wants to be chosen for The Testing. However, when she is chosen, she discovers that leadership isn’t always about getting the right answer…it is sometimes about how far you will go to succeed. For those who are unfamiliar with Cia, how would you introduce her? Cia is the youngest member of a very loving family. She has pushed hard in school in an effort to be chosen for The Testing—as her father was years ago. She is smart and loyal—sometimes to a fault. Currently, I’m finishing revisions on GRADUATION DAY – the third and final installment of The Testing trilogy. After that, well…I do have an idea of what I’d like to work on. It’s another YA suspense series with a science fiction bent. Here’s hoping I get to write it! Oh – I’d love to introduce Will to meet Draco Malfoy. Something tells me Draco would underestimate Will. That would be fun to watch! What was one of the most surprising things you learned in creating Tomas? Hmm… I was quite surprised at Tomas’s untrusting nature. He and Cia come from the same colony, but while she is inclined to see the best in people, Tomas looks for the dark corners and is must slower to feel comfortable with new people or to trust. I’m going to adopt the same advice I was give…write. The more you write, the better you will get. It wasn’t until my 3rd manuscript that I started to really find my voice. It might take you 1, 3, or 10 manuscripts—don’t give up until you find your voice and style. Investing time in creating something that foundation is truly worthwhile. Well, I don’t know if I’d call it a job since it didn’t pay, but I manned the cotton candy booth for about 7 hours straight one forth of July. While my arm being tired was memorable, I would say even more so was feeling as if I was melting when I finally stepped into the shower after my work was done. A guy named PJ. We were in 7th grade and didn’t have a single class together. He asked me “out” on the phone….not on a date…just to go out….I’m still not clear why that was a thing, but there you have it. I said yes because I didn’t want to upset him by saying no. I think he broke up with me on the phone about 36 hours later after all of our friends expressed their shock that the two of us were a couple. I’m still not sure I even saw him during the time we were “going out”. Does that kind of thing still happen? Or was it just something that happened to me? Oh – it would be way harder to say I don’t love someone back. I’m a performer and a writer. I’m used to putting myself out there for rejection. I’m less skilled at the rejection part. I cry at the drop of a hat. Movies. Books. Hallmark commercials. Television shows. Sadly, I haven’t had a good cry in about 2 weeks. I guess it’s time for me to pull out a great book and let the tears flow. Yowzah! You want me to go back to being a teen? I NEVER want to have to sit for the SATs again. But I guess if I get to time travel, I’d love to be a teen in the 50s. There was so much happening both politically and culturally. I think growing up in that time would have been fascinating. Being a mom. My kid is awesome! Author Joelle Charbonneau introduces readers to a planet left in ruins as the result from The Seven Stages War. Rebuilding it will take serious considerations from those who are chosen. The chosen ones must undergo and pass The Testing for the chance of a worthwhile life that is out of reach for the majority of the remaining population. When Cia Vale is chosen, she is grateful that she is considered to become a leader of this new land. But as the days get closer for The Testing, hints of corrupt and dark secrets await on her upcoming endeavor. Dystopian novels have become a hot commodity but without the essential elements, it will fall hard and flat. Charbonneau’s The Testing does not fall victim to that as the world she has created provided the right setting for an incredible post-apocalyptic war story. This post-war United States is well-written and gracefully described. Every detail she placed in this world is what I imagine it to be and she leaves no conflicts of how things have become. With a perfectly-written setting, the story of a post-war world comes naturally. Readers will be intrigued to the inclusion of how people used modern technology to help them with their necessities. Hybridized crops and mutated creatures are just a sample of how this world differs from most dystopian novels. Charbonneau’s writing style is able to relay a full understanding of how things that seem far-fetched feel very realistic. Malenica (Cia) Vale’s narration was the perfect voice for this type of story. She is highly intelligent and has an aptitude for science, particularly in botany. She craves knowledge and takes education seriously. Although she sounds like Ms. Perfect, she has her own flaws which remind us that she’s still a normal person. The Testing is an amazingly written post-war story that puts emphasis on details. From the characters to the social make-up of what was once the United States, it is clearly apparent that Charbonneau has put a lot of research and effort into her book. I appreciate her attention to detail as it provides clear comprehension of things going on which made the book that much more enjoyable. I see a bright future for this series and I certainly cannot wait to dive back into Cia’s world. Thank you JOELLE CHARBONNEAU for making this giveaway possible. 1 Winner will receive a Copy of The Testing by Joelle Charbonneau. I insisted that our library get a copy of The Testing when it was released but I haven't had a chance to check it out yet. I definitely would like to read this book. Thanks for the giveaway! Thanks for the giveaway! I was fortunate enough to meet Joelle at BEA! She was awesome!